Prepping for a new baby can be a truly overwhelming process. Setting the emotional, physical, and mental toll aside, how do you even begin to decide what to buy for your newborn? Enter Cricket's Circle, a new digital platform that offers an expertly curated list of everything your bundle of joy needs to be happy and healthy in his or her first year. Enjoy a totally personalized experience as you scroll through product reviews and take quizzes that'll give you customized recommendations. So, consider this your ultimate baby cheat sheet! To celebrate the website's launch — it's live today! — Cricket's Circle is dishing on the products your baby just doesn't need. From the aptly named "peepee teepees" to superfluous baby-wipe accessories, here are the items to avoid. Pamper their tush with warm wipes, and they’ll expect Canyon Ranch-style comforts 24/7. It begins here and ends with them demanding truffle oil for their mac and cheese. Please, use your head. And, then use your wrist to test the water. If you think this tiny terry-cloth dome will protect you from the spray of your baby boy, then you’re clearly underestimating his machinery. Sure, it catches the dribbles off a bottle, but it looks ridiculous. As ridiculous as, well, a scrunchie. 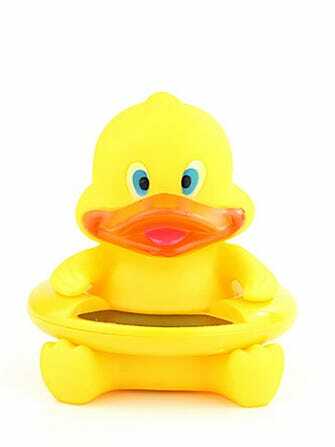 MiniInTheBox Cute Little Duck Baby Bath Water Thermometer Tester, $10.79, available at MiniInTheBox.com. Non-walkers don’t need shoes — they’re not going anywhere. They need booties, so stock up! They’re certainly not essential, but they’re damn cute. This frontal cape is supposed to keep food off the floor, but, really, it just ensures that discarded food stays within baby’s reach — so he can mush it over and over again. It’s basically a poncho that protects your kid from dangerous shopping-cart germs. Save your girl from fuchsia leopard prints for one more day, and run a Wet-Nap over the handlebar instead. This combines two baby pet peeves — getting weighed and being bathed — into one soon-to-be-obsolete hunka plastic. Tush deodorant is probably not necessary if you’re half decent with a baby wipe. 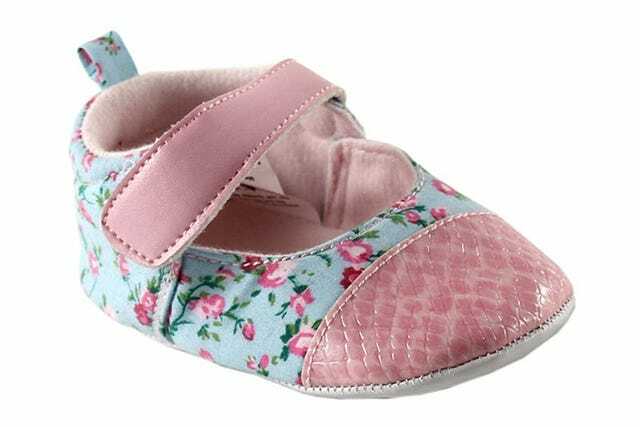 Luvable Friends Girl's Bow Dress Shoe for Baby, $7.88, available at Amazon. We were told it can be used to warm up sake once the baby transitions to cups — which is to say, it’s otherwise useless. Warm water will do. A stand that helps babies self-feed can only be justified by parents of multiples. They should buy any and everything that makes life easier. Why hang out with your baby when your iPhone and this Big Brother onesie can tell you how he’s doing? Shake, shake, shake that bottle. Congrats, you’ve just toned your arms and saved the $150 it costs to buy a baby-formula Keurig. Boon ORB Bottle Warmer, $36.99, available at Diapers.com.